Were you seriously injured in a car accident? We can help. Our roads are very busy. 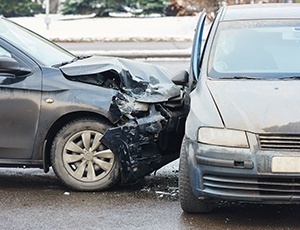 Hundreds of motor vehicle accidents happen every day in Northern California and the Bay area. Distracted, aggressive drivers are prevalent on our highways. People talk on cell phones and text message while driving. Roadway design can be faulty. As a result, automobile car accidents and collisions occur every hour, often causing serious injuries. All of those accidents wind up on a desk at an insurance company where a claims adjustor looks for ways to minimize or deny a claim. That’s what insurance companies do. They are in business to make money — they don’t want to pay on claims. Unfortunately, on the other end of that car insurance claim is a person and a family that suffered an injury and financial loss. They need the money they are asking for to pay their medical bills, to fix their cars, and to cover lost wages from time off work. It’s hard for average people to stand up to large insurance companies. The Law Offices of Suizi Lin work to level the playing field. We’ve been taking on the insurance companies, fighting to ensure our clients get the financial compensation they need after car, truck, or motorcycle accident. When those accidents are the result of negligence or misconduct, we may be able to obtain payment for medical expenses, lost income, and pain and suffering caused by the accident. In addition, far too many motor vehicle accidents result in death. Our lawyers have the sensitivity and resources to successfully pursue wrongful death claims, helping survivors obtain the resources they need to move forward with their lives after a tragedy. Our accident investigation team and medical staff will interview witnesses, gather evidence and evaluate your injuries. We have the knowledge and resources to take on the large insurance companies, whose goals are to pay out as little as possible — even for legitimate claims for serious injury. We have the experience needed to prove fault, evaluate insurance coverage and identify all possible defendants. We know how frustrating and frightening serious injuries can be. Contact The Law Offices of Suizi Lin to have one of our attorneys review your case. Our Northern California attorneys have the experience in car accident cases to get results. If you or a loved was injured in a car accident, it is important to contact an attorney as soon as possible so that evidence of the accident can be preserved for your claim. Call our firm today at (510) 689-1988 to arrange your free initial consultation.